Pupils from Wellsway put their skills to good use and got to work helping the community and their school. 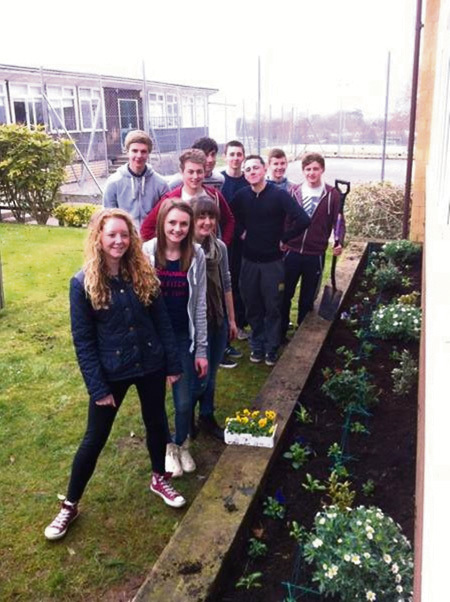 Year 12 students took part in a range of activities during the Sixth Form Community Action Day on March 20. They chose from: visiting residents at Charlton House care home; offering in-class support to lessons in school; helping to clear and plant a flower bed next to the Sixth Form Centre; clearing an area of Keynsham Cemetery in preparation for the Keynsham in Bloom competition; supporting primary school children at Marksbury school to make Easter bonnets; or taking part in a workshop to discuss how the school could keep the Olympic legacy alive, and promote sport in the local area undertaking leadership responsibilities. A school spokesperson said the students enjoyed these challenges and the opportunity to volunteer within the local community.